I don’t know about you, but I always thought wanting to be a curator was the Art Historical equivalent of wanting to be a Rock Star – a pretty competitive field to get in to. Yesterday afternoon students from the School of Art joined forces with staff from Ceredigion Museum and the people of Aberystwyth to help Janekta Platun, current artist in residence at Ceredigion Museum, create her site-specific installation. What does a curator actually do? Well, there’s a lot of sitting at a computer, designing, digitizing, cataloguing, and emailing, but every six weeks or so, working life gets a lot more… physical. You ditch your shirt and shoes for your overalls; you swap your PowerPoint for your power tools, and you transform the gallery for the next exhibition. Support the School of Art Volunteers! These days it’s so important to do some voluntary work if you’re looking for a career in the arts, museums or galleries. That’s why, for the last two years, groups of students from the School of Art have run craft workshops for families at Ceredigion Museum. Sitting at a little wooden desk in a quiet corner of the Reading Room, head buried in a box of art from our collection, you can find me, the new Curatorial Graduate Trainee. 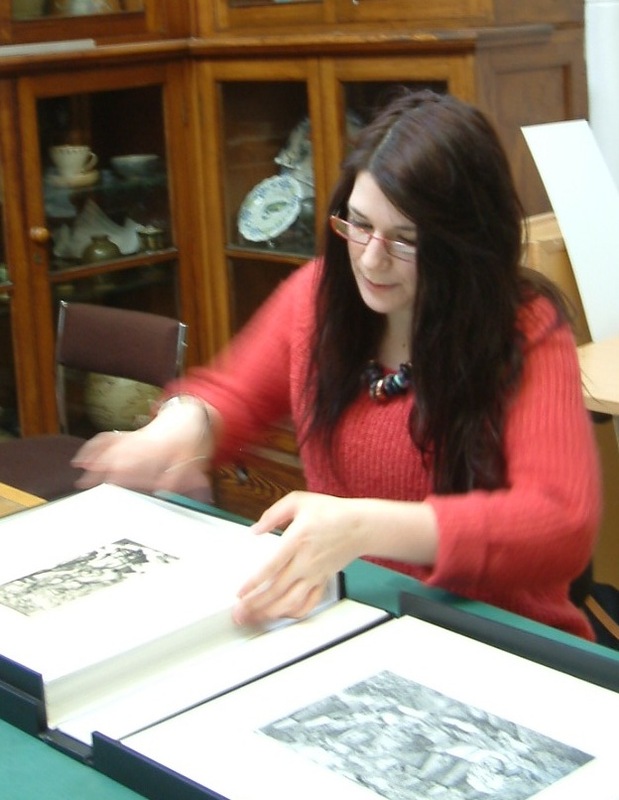 I’m Jen, I’ve just graduated in Art History, and I’m the lucky blighter who gets to work on the digitization and management of our collection.